Diet is being studied as a risk factor for breast cancer. Studies show that in populations that consume a high-fat diet, women are more likely to die of breast cancer than women in populations that consume a low-fat diet. 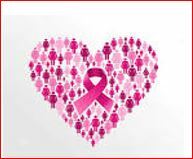 It is not known if a diet low in fat will prevent breast cancer. Eating a diet rich in beta-carotene may decrease the risk of breast cancer. Exercise, especially in young women, may decrease hormone levels and contribute to a decreased breast cancer risk. Breast feeding may also decrease a woman’s risk of breast cancer. Postmenopausal weight gain, especially after natural menopause and/or after age 60, may increase breast cancer risk. 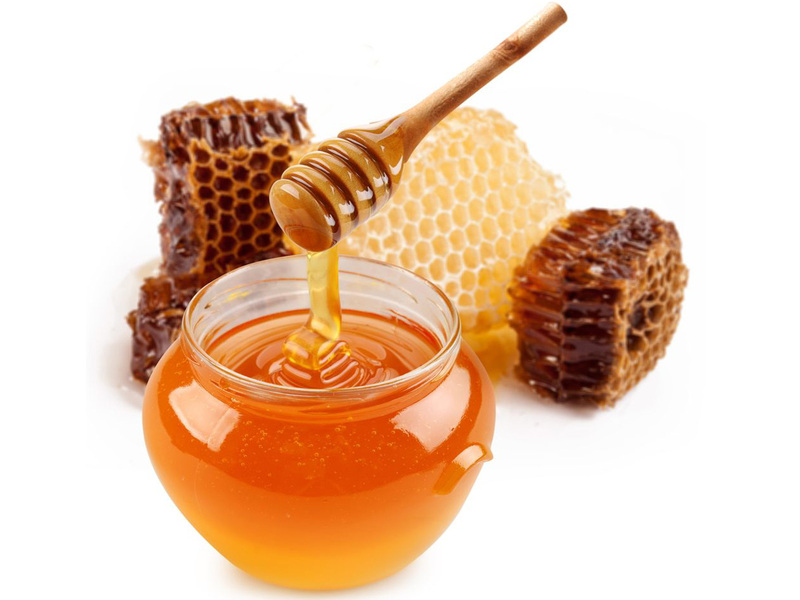 Honey is delicious and it also provides nutritional benefits! It contains flavonoids which properties include anti-allergic, anti-cancer, antioxidant, anti-inflammatory and anti-viral. Honey’s anti-allergic properties are due to the small amount of pollen within the honey. The anti-cancer properties it provides is due to antioxidants, which help to fight free radicals, cancer causing agents. Honey is also known for helping to suppress a cough and soothe the throat, supported by the World Health Organization which reports that it has potential to reduce inflammation and irritation. Honey provides 64 calories per teaspoon and gives a natural unprocessed boost of energy, unlike table sugar. Try a teaspoon of honey in a cup of hot tea, with peanut butter on whole wheat bread or in a bowl of cereal and enjoy all the benefits it provides. I like to drizzle a little honey over a vanilla Greek yogurt with granola, a great taste and well balanced! I thought this week would be a good week to send something out on “Strength” for without it how would we ever move forward, endure, fall, get back up and keep going. The words below always remind me of the power of personal integrity. May they inspire you too. The quote above always helps serve as a reminder that the week, the moment or some fleeting rumination can end. Many gifts have been shared and received. Much wisdom has been passed on and absorbed. May we keep our lights bright and nourished. “Everything has its place. Very often, it is simply a matter of time before we recognize where and how things fit together. There is a sacred design to the world in which we live, to the process of life itself. And very often, it is not a matter of whether or not “things” fall into place, but whether or not our capacity for awareness and understanding of “things” falls into place..
May we all be wise enough today to see the lessons! 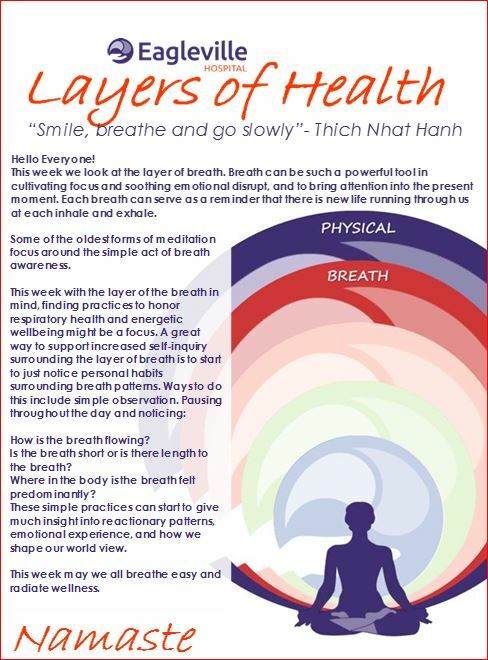 May we all be well in our continued efforts to nurture all layers of health. Today may we all experience each moment of our existence with an exuberant sense of curiosity! 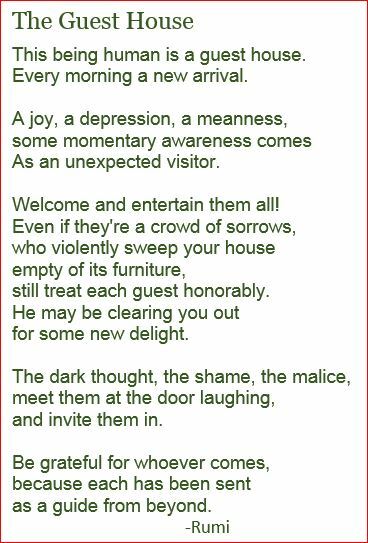 For this week’s wellness thought I thought I would share the poem The Guest House by Rumi. When exploring the essence of living in an awakened state and engaging in the practice of acceptance I find these words to be so helpful. -May we all find the strength this weekend to great things both comfortable and uncomfortable with the same mindful curiosity and open acceptance. Cut Back on Added Sugars! 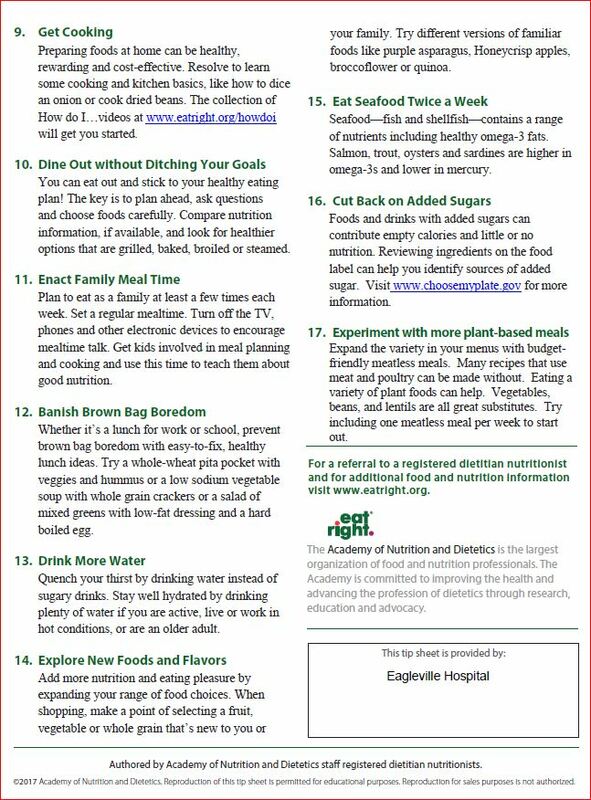 Foods and drinks with added sugars can contribute empty calories and little or no nutrition. 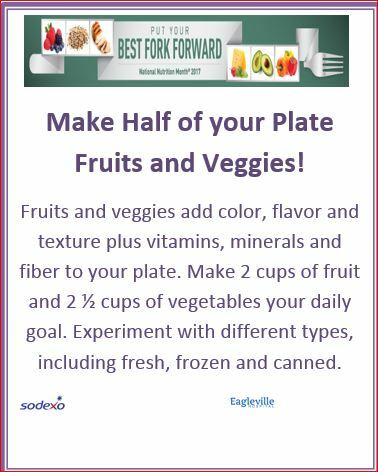 Reviewing ingredients on the food label can help you identify sources of added sugar. .
Visit www.choosemyplate.gov for more information. We often hear addiction referred to as a “Family Disease”. Typically, there are multiple generations of addiction or there can be multiple family members suffering. Even in the situations where there is a single family member struggling with addiction, most of the family unit is still affected by the behavior changes and negative consequences of the addicted individual. When I was working as a therapist here at Eagleville, I would remind my patients that even though they are in these walls making an effort and initiating changes, many of their family members are most likely still carrying all the same fears and emotions that they did when you first walked in the door and that they need to be patient with them. This is why we encourage families to seek their own therapies, involvement in AL Anon/Nar Anon and supports they can turn to when needed. At Eagleville we offer therapist guided family sessions, Family Education Seminars for first time visitors and speakers from Nar Anon to share about available services in the community for recovering families. Providing education to families is important so they can better understand the struggles of addiction and the barriers in the recovery of their loved one. Currently, as the Patient and Family Advocate, I also make myself available to hear about concerns or questions from family members of our patients. It’s important to be available to the family members of our patients because not only are they going through one of the most difficult situations of their lives, they are also the primary support system for our patients. We know that when larger and more secure support systems are in place, a better likelihood for successful recovery is created. 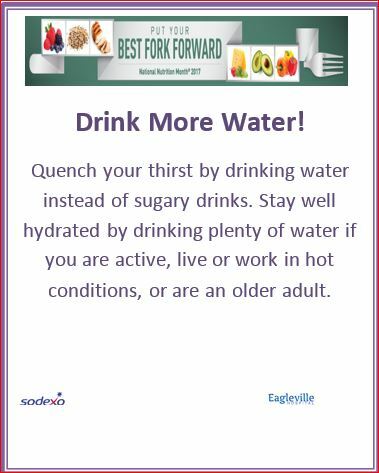 Of course our patients will need to do work on their relationships with their families, however it is important for our counseling team members and myself to continue to maintain healthy communication and supportive relationships with our Eagleville Families. At Eagleville, we aim to help not only our patients, but the whole family system to heal and recover together. There is such power in the simple act of gratitude. This has been something that has surfaced in my reading this week as every book I have picked up has suggested starting some practice as soon as the awaken state begins in the morning to honor gratitude. When themes like this show up I try to do my best to listen. Examples of a brief morning practice can include relaxing in bed just noticing the breath as each breath is a reminder we are alive and there are an infinite amount of possibilities available in that breathing moment. These words and the pause to connect with them can be a brief moment that can create an amazing shift into the perspective of gracious living. May gratitude fill our hearts, body and deepest sense of self today. As we go into the next few days, maybe some kind and compassionate observation on how we nourish our mind, body and spirits. Every opportunity presents space to observe. What was ingested? What was the result? This weekend may there be many opportunities to ingest what feeds the soul and nourishes your heartfelt intention. The next step in reducing your risk for cardiovascular disease is lowering your sodium intake. One teaspoon of salt contains 1500mg of sodium; the FDA recommendation for individuals is no more than 2300mg to help to lower risk for heart disease although the average intake in the U.S. is 3,400mg daily. Sodium is found naturally in foods, added to foods and is used as a preservative for many foods. Small amounts of sodium are essential for health. All body fluids contain sodium, including blood, and it has an important function in maintaining fluid balance within the body, however, too much sodium can overtime lead to hypertension, heart and kidney problems. As we come into the month of February, we are reminded that we celebrate not only Saint Valentine’s Day and Black History Month, but also American Heart Month. People from all different backgrounds can be at risk for cardiovascular disease. 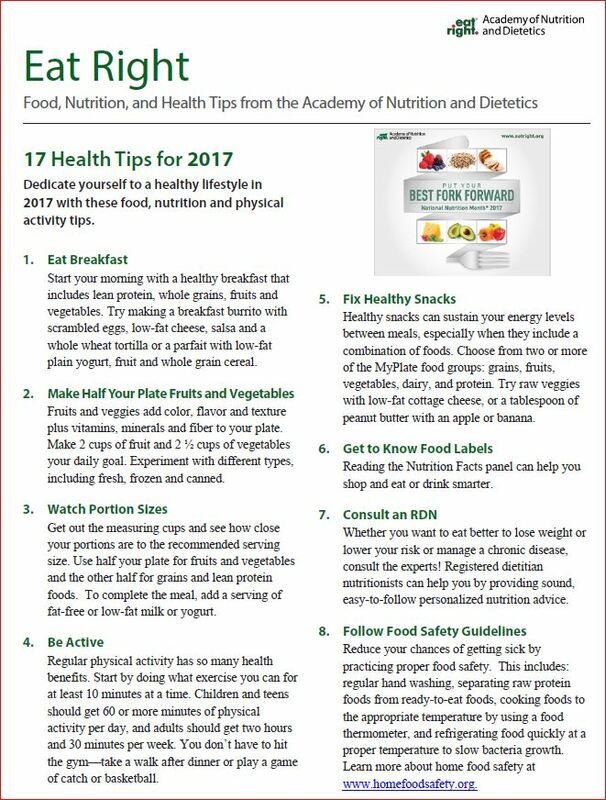 Steps to take for prevention of heart disease include lowering your fat (especially saturated fats) and cholesterol intake, lowering your sodium intake, increasing your fiber intake, increasing your physical activity and if you smoke, quit! The first step is lowering your fat and cholesterol intake because excessive fat and cholesterol can build up in your arteries and eventually cut off the blood flow, leading to a heart attack or stroke. Saturated fats are the fats that contribute to heart disease. Our bodies produce all the saturated fat and cholesterol we need, so we don’t need to eat any of it. Choose lower fat foods, more specifically, foods lower in saturated and trans fats and cholesterol is the first step. Foods such as dairy products made from whole milk (cheese, cream, butter, yogurt), fatty meats, skin on poultry, fried foods, margarine, mayonnaise, salad dressings, bacon (“breakfast meats”), and many baked goods such as croissants, biscuits, pastries and cookies are high in saturated fats and should be avoided to help lower lipids in your bloodstream. A few plant foods are also high in saturated fats, including coconut and coconut oil, palm oil, and palm kernel oil. Cholesterol is only found from animal sources. Non-Judging, Patience, Beginner’s Mind, Trust, Non-striving, Acceptance and Letting go. I always find these helpful to remember mindfulness is a state of being . When creating space for observation these 7 attitudes can be very helpful surrounding the way we great ourselves, thoughts and feelings preferred and non-preferred and eventually how we interact with the neighboring beings we inhabit this planet with. May today provide opportunity to practice and embody a state of mindful observation, allowing for a new and bright perspective. Remembering this exact moment is like no other. Handwashing is our best defense against becoming sick. We all need reminders about proper hygiene and handwashing. Washing work areas with approved wipes is an effective way to decrease the spread of germs. Always utilize cough etiquette. It’s that time of the year for colds, flu and the norovirus. Protect yourself, patients and visitors from becoming sick. One of the main factors contributing to relapse within addiction recovery, for those with co-occurring psychiatric illness, is poor adherence or noncompliance with recommended treatment. Noncompliance with treatment for many chronic illnesses can exceed 50% and commonly contributes to poor response to psychotropic medications and often numerous adverse events. Poor adherence can be related to many factors including medication side effects, patient concerns or capacity as well as physician related factors. At the time of diagnosis and treatment with your physician, many of these factors can be addressed by remembering to have yourself or your accompanying family member/friend, advocate for your best treatment outcome. Ask questions with regards to your medications and how to take them; for example: with or without food, the timing of doses throughout the course of the day, potential side effects and how best deal with them, and any possible withdrawal or discontinuation syndrome should you accidentally miss doses or stop your medication upon your doctors order. Never abruptly discontinue medication without first discussing this with your doctor. From the outset until its completion, your treatment should always be a collaborative effort. Today may we all have the ability to honor and allow the experience of liveliness in ourselves and others. May we move gracefully, joyfully and mindfully into 2017. With all the hustle, bustle and excitement of the holiday season it can be a great time to get lost in the intentions of giving and acts of kindness. What a sense of warmth and good will can come from this allowing for such an electric time of year. Being moved to give can also allow being lost in the doing, achieving, and preparing. Due to this duality of warmth and doing I thought the idea of embodiment would be an interesting exploration for this week’s wellness thought. 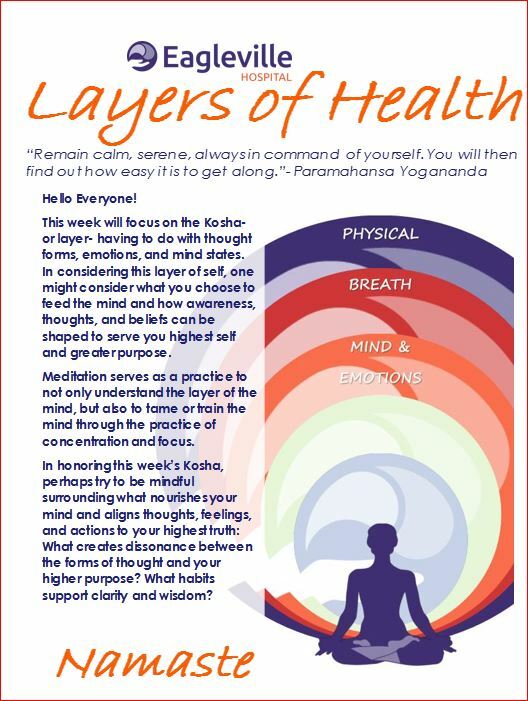 This is a term utilized often in the language of yoga and meditation. This idea of living in the body rather than some intellectualized concept of what the body is. Peter A. Levine describes embodiment his book In an Unspoken Voice: How the Body Releases Trauma and Restores Goodness as follows “Embodiment” is a personal-evolutionary solution to the tyranny of the yapping “monkey mind” (p279). 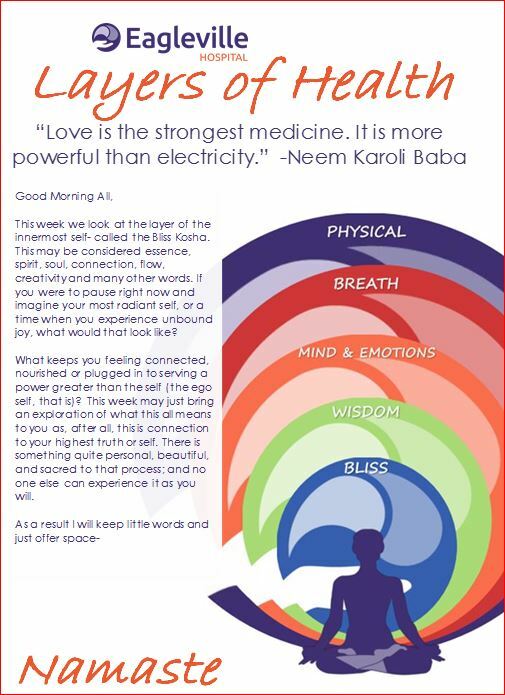 Checking in with the physical body can give great indication surrounding what is needed in the moment, and how a shift from tension to softness can greatly alter the experience of the moment. I find this inspiring as I know that living in the monkey mind is no easy task and can be immensely exhausting. The body and simple awareness of the body can be great way to shift gears when it’s found much energy has been expended entertaining the monkey. Being mindful of the shoulders when waiting in line, the muscles of the face when talking to someone and maybe sensations in the belly before making a decision are all simple ways to practice embodiment through experiencing the physical self. May today be a day to utilize the practice of embodiment to be awake and alive, allowing the experience of living moment to moment. Perhaps finding a bit of joy, simplicity, or peace in each moment. Have a well and safe holiday! I find this passage very helpful to allow me to notice the moment and if there is an urge to control, direct or is there an opportunity to trust and observe. Maybe today when all else fails noticing is there space to trust.